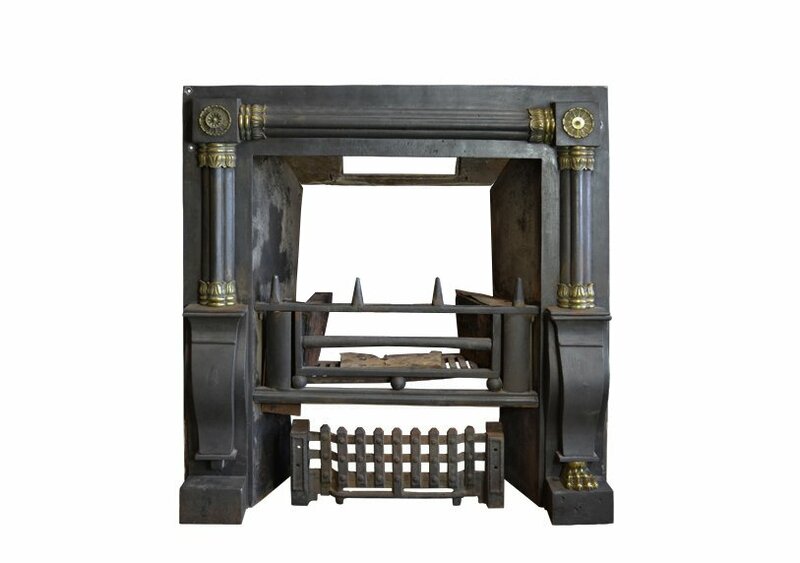 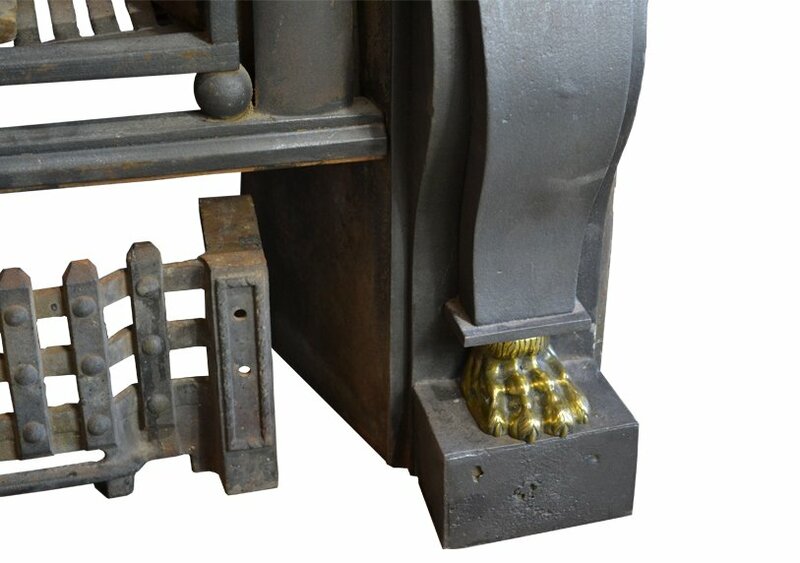 Early Regency register grate c1810 in the manner of George Bullock in cast iron with brass ornamentation. 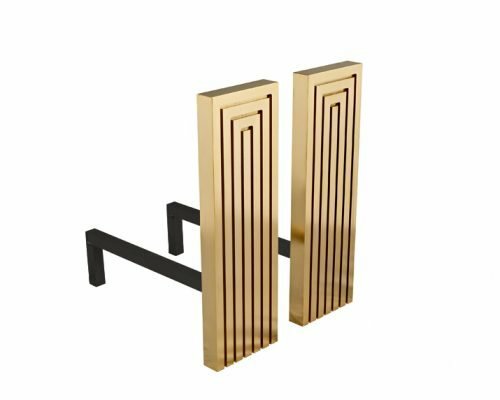 With their linear detail and polished surface the Tom fire dogs can be used with both contemporary and traditional fireplace settings. 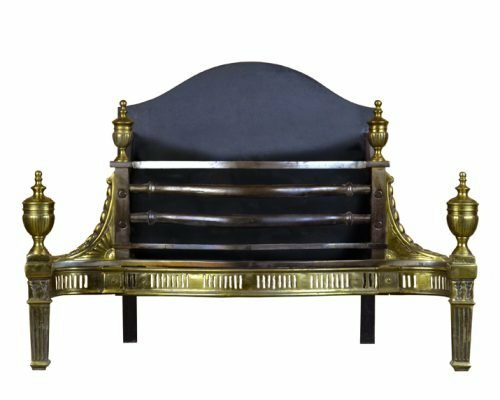 A 20th century brass basket with urns. 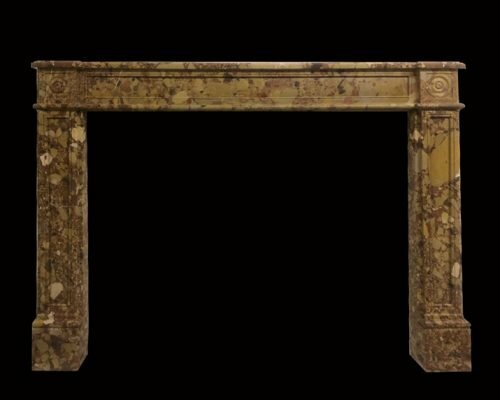 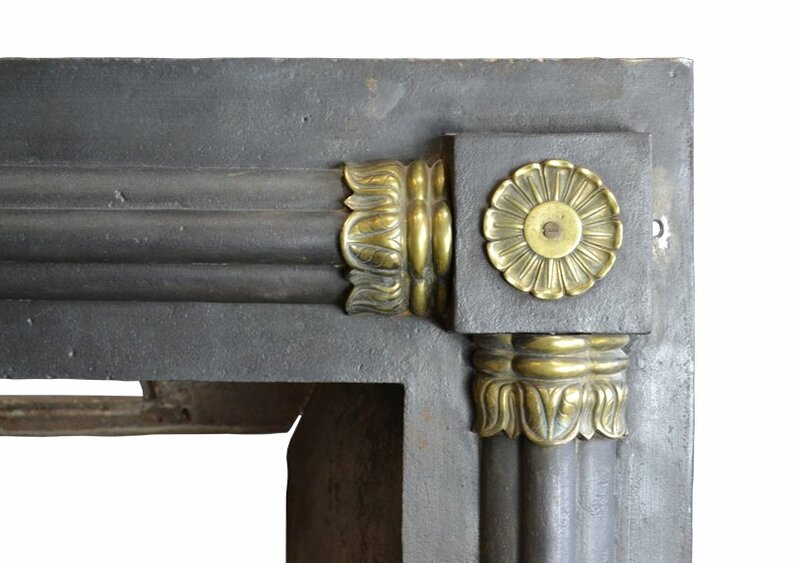 A Louis XVI chimneypiece with roundel corner blocks and panelled jambs and freize in Breche de Alep.